The Way of Saint James is the most well known European Pilgrimage Route. A research team working on the study of Roman military presence in the northwest of the Iberian Peninsula. The disclosure and social dissemination of the important advances produced in this area in recent years is our goal. What is Galicia famous for? 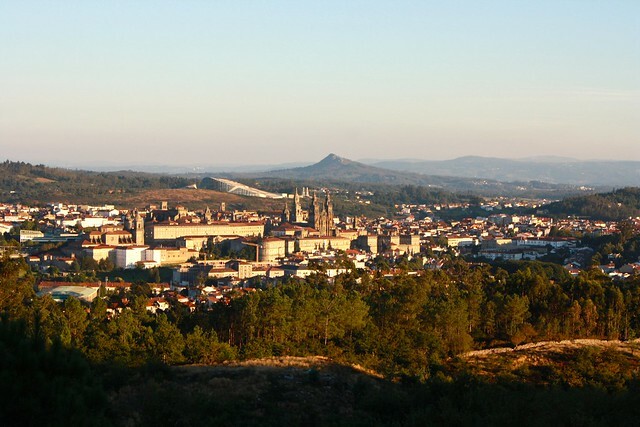 The capital city of Compostela was declared by UNESCO as a world heritage site. Galician fine arts and craftsmanship have traditionally been among the best in the world. With specialities such as empada (pie), caldo (broth), filhoas (crepes), alvarinho and ribeiro wines, queijos (cheese), etc. With famed breath-taking scenery. You’ll have to come and see that for yourself! Galicia has produced fine literature influencing its European counterparts since the 13thC, from Medieval Cantigas to modern authors such as Rosalia de Castro, Castelao, Pedraio, Novoneira, Cunqueiro, Avilés de Taramancos, Celso Emilio Ferreiro, and many others. From traditional melodies to rock. Someone once said: “We’re at the end of the world, but we make the best music in the universe”. Some also say that there is a party in Galicia for every day of the year! And that might be true actually. “Galicians are everywhere”. Thanks to millions of emigrants throughout history, and the outstanding expansion of the Galician commercial and fishing fleet, the name of Galicia has been spread all over the globe. 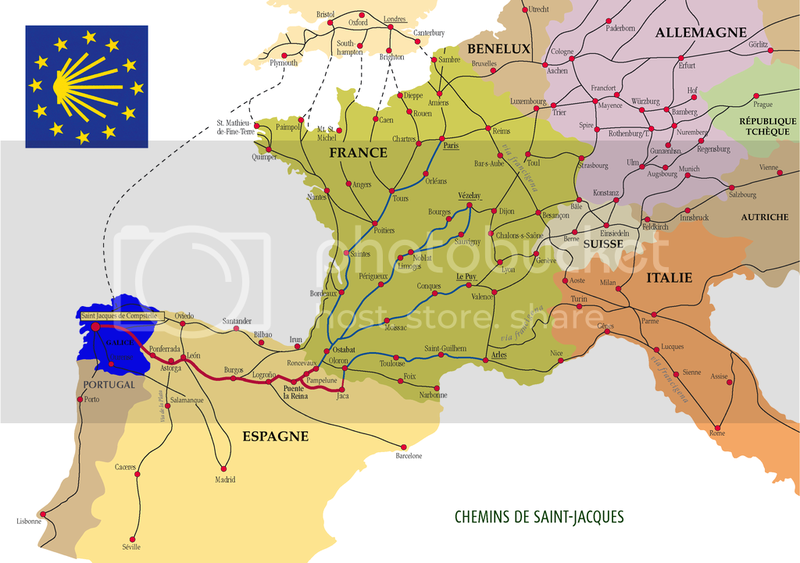 The significance of the Way of Saint James (pilgrimage route) has also been crucial in the making of Europe. As Goethe put it “Europe was built on the pilgrimages to Compostela”. Football clubs such as Deportivo and Celta Vigo have helped to put Galicia on the map. Galician rowing, roller hockey, triathlon, sailing, handball or cycling are also renowned. 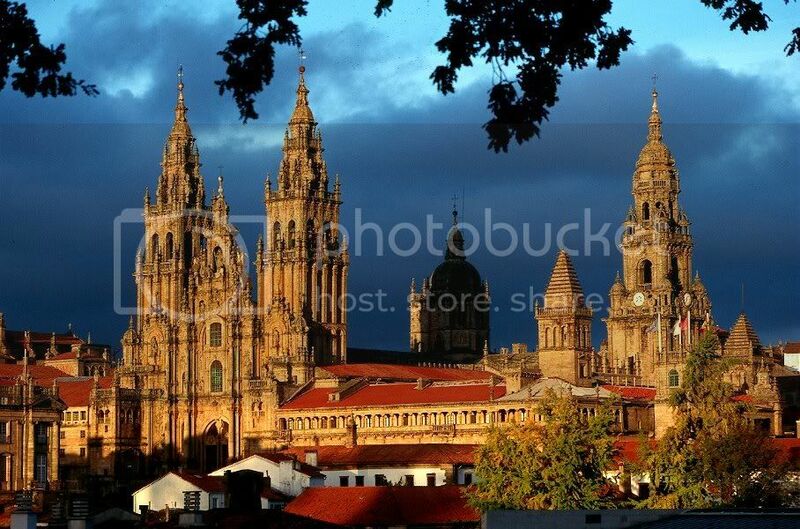 One of the best ways to see Compostela, capital of Galicia, if from the perspective of a photographer camera. 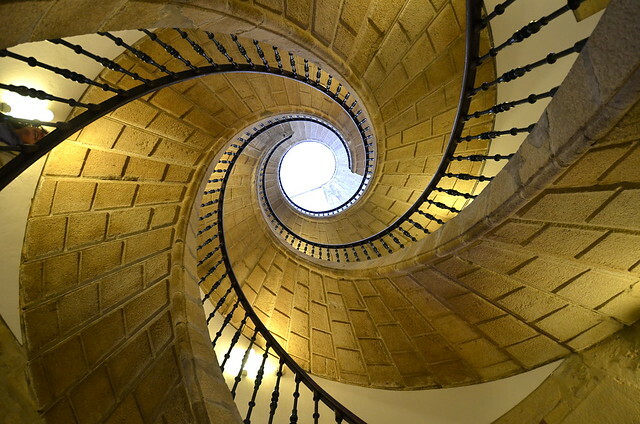 We recommend to take a look of Compostela daily photo tumblr. We love the Trevor Huxham blog, there are tons of good articles about Galicia. like this excelent about hiking in the capital of Galicia. More than 200 Roman coins where found in different places of the Iberian north-west. Dated between I BCE and I CE centuries in one side is the face of Augustus and in the other side the shield of the Gallaeci, a group of tribes assimilated by the empire at the end of I BCE century. This is a work of the Facebook page Galician National Heritage and the coins are in the Castelo de San Antón Archaeological Museum (A Coruña). ‘As pedras de San Lourenzo‘ (Saint Lawrence’s stones) is a short documentary by journalist and USC teacher Manuel Gago about the archaeological project of Castro of San Lourenzo (Cereixa, A Pobra do Brollón). English and Spanish subtitles are available. Santiago é Música (Santiago is Music) is a index of professional musicians and bands from the capital. Photographer Soledad Felloza registered different masks and traditions from Chantada and Santiago de Arriba (Lugo). One of the last works of illustrator Elga Fernández Lamas is a homage to Antonia de Alarcón, a worker hanged after a revolt in 1810 in Ferrol. The song ‘Cabaliño‘ (Little Horse), by singer and traditional percussionist Davide Salgado get a new version in the recently awarded with a Grammy Yo-Yo Ma’s album ‘Sing me home‘. Cristina Pato, bagpiper and pianist member of Yo-Yo Ma’s band The Silk Road Ensemble, explains the song. From 1st of January to the first Sunday after Ash Wednesday Galician Natives celebrate Entroido (also Antroido, Entrudo or Carnaval), a travel machine to ancient pagan parties all over Galicia. The common denominator are colourful masks and costumes. We are a group of Galician Natives, we love to show our country from a different view. Maybe this site is useful to you if you are travelling to Galicia, you like Celtic countries, you love to discover alternative cultures of the world. Here you’ll find culture, art, history, curiosities, some answers and more. P.S. : Polish native behind the blog lamus dworski was our inspiration.